Actor/musician Common has revealed that he will not be reprising his role of Cassian in John Wick 3. Cassian was an equal match to Keanu Reeves' Wick, a character that helped to elevate the second installment of the franchise, and many fans were hoping that he would be making a return for the third and final movie in the trilogy. Cassian's story arc was left ambiguous at the end of John Wick 2, so there could have been a way to bring him back. In a recent interview, Common addressed the John Wick 3 rumors. His Cassian character was well-received as a badass equal to John Wick. He was the rival assassin who nearly took Wick out, proving to be a worthy adversary. However, Common isn't returning. He had this to say. "I'm not in the third part, but I could say that I really loved being a part of John Wick 2 and it was an amazing experience. Working with Keanu (Reeves) and (director]) Chad (Stahelski), they're just phenomenal. Challenged and really passionate about the stuff, and I can say that John Wick 3 is going to be incredible, though, I'll tell you that much." This news will certainly be a bummer for John Wick fans who were hoping to see Common back as Cassian. In addition to being an excellent actor, the fight scenes between Common and Keanu Reeves are some of the best in the franchise. With that being said, the actor promises that John Wick 3 is still going to be "incredible," and he would know better than anyone at this point. Who knows, maybe Cassian will show up in another branch of the franchise in the future. Even before the cast of John Wick 3 was announced, it was believed that Common's Cassian was going to be on board. Now that we know that he isn't involved, it leaves even more of the story a mystery. Details are sparse about the sequel, except for the fact that there's more people than ever before on the hunt for John Wick, which will see the movie go from New York City to other countries around the world as the character tries to stay out of the limelight. 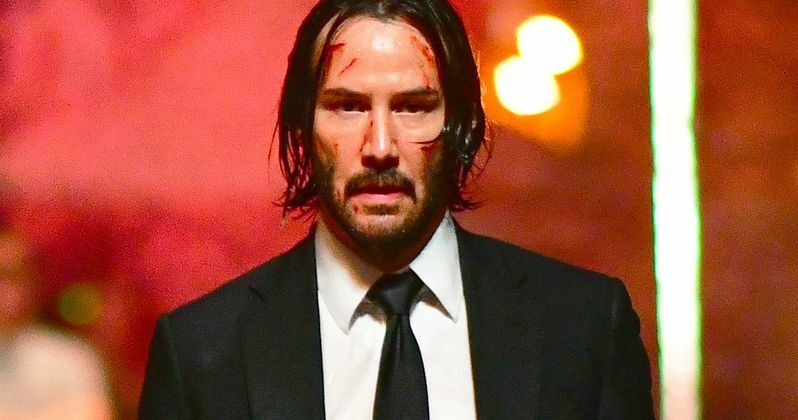 John Wick 3 director Chad Stahelski never directly answered whether or not Common's Cassian would return, noting that he liked "being slightly ambiguous in the world," which lets the fans have a crack at guessing what will happen next, as opposed to giving out all of the answers all at once. While Common won't be back for the third installment, there's still a lot going on to get excited about, including Keanu Reeves' incredible stunt work, which has been teased in leaked behind-the-scenes photos. John Wick 3 hits theaters on May 17th, 2019. While we wait for some more information, you can head over to Coming Soon to read the full interview with Common.